Here's a pictorial guide on how to upgrade your rear speakers. Just to warn all its a lot more effort than most people think so alloy yourself 2-3 hours if you not too familiar with taking our car apart. Thanks to RazRankin from LOC for this. Hope this workshop guide is of some use to others, Many thanks to Mr (Am) Singh for his helping hand. 1. 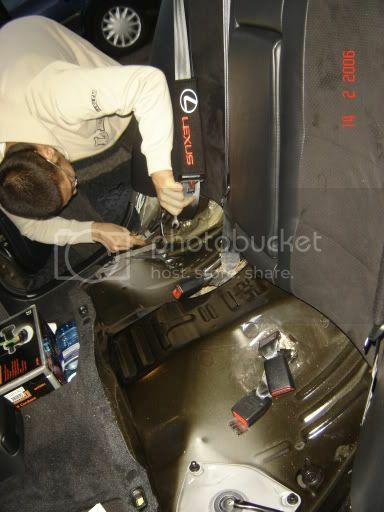 Remove the bottom part of the rear seats, this simply pulls up (it is held in by some 'socket n plug' type clips). Seatbelt clips will also slide out of the seats. 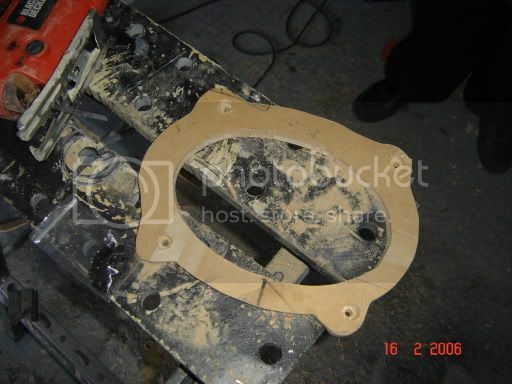 10.If the new speakers dont fit, they will need MDF mounts to raise them and give clearance to the boot levers. We used think (18mm) MDF for these Infinity Kappas. 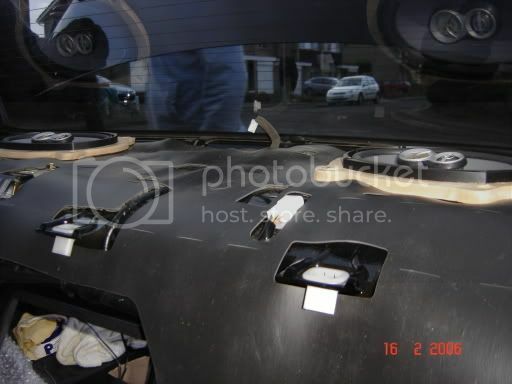 You will need to use the OEM speakers as a template. Make sure you mark the topside. Cut out the shape of the OEM Speaker. 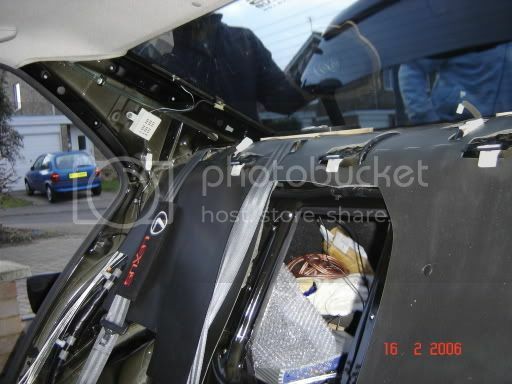 11.Place the mdf mount on the rear shelf in the original position, and get someelse in the boot to mark the out the 6*9 shape and the screw holes. 13.Drill screw holes. Make holes suitable for the bolt using the tool in the picture below. 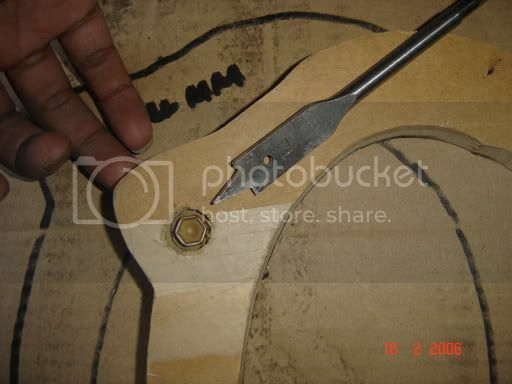 14.Fit 6*9 onto the new ring, use short screws that wont pierce through the rings. 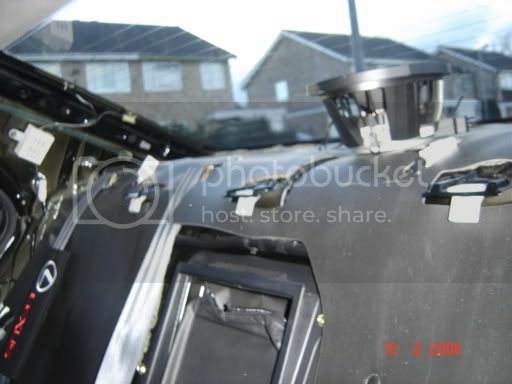 15.Mount the new speaker and ring into the OEM position, testing everything is a snug fit and it wont catch the boot. 16.Repeat steps 10-15 for other speaker. my is200 seems to have 4 wires going to them as i seen when tinting my windows. what way do you wire these up to a normal set of 6 * 9s?? I remember people talking about the stock speakers on other forums, AFAIK they have a funny impedance and are not really replaceable. If you are upgrading the speakers you should be replacing the amp also.